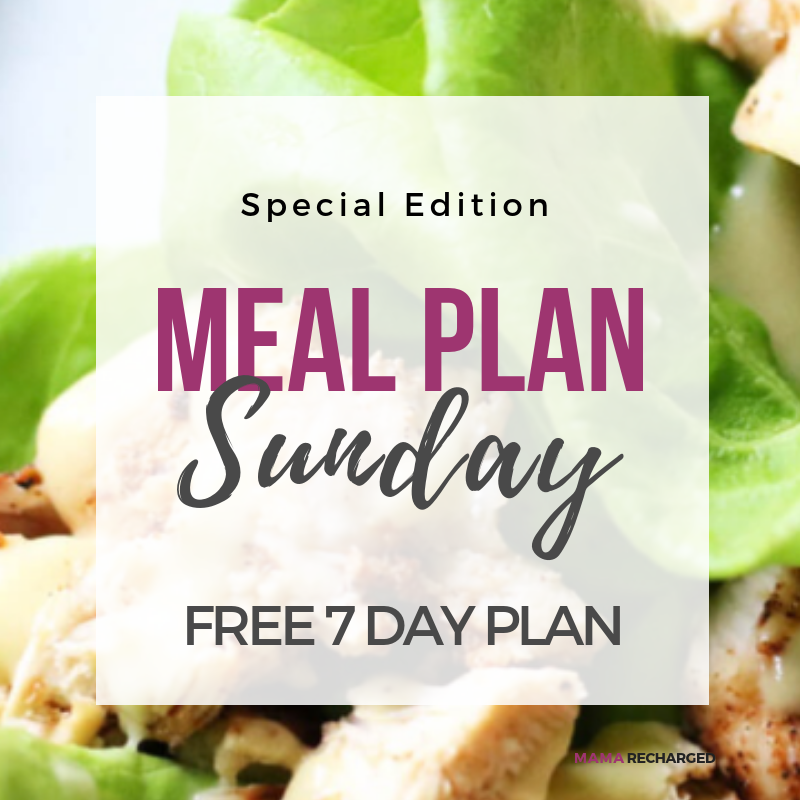 Meal Plan Sunday – Here’s your FREE plan! 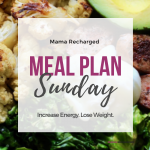 I’m giving this week’s Mama Recharged Membership plan to everyone FREE! 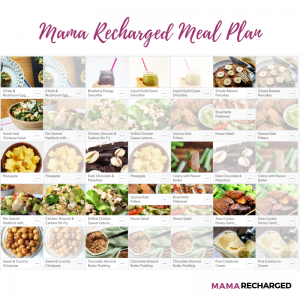 Mama Recharged meal plans are for busy mamas who are tired and just don’t feel good. 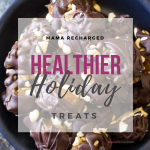 We cut out the most common energy draining foods (gluten, dairy, sugar and processed food) and add in an abundance of delicious energizing foods that nourish you right down to the cells. 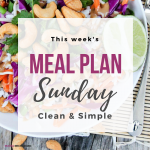 With clean and simple recipes, a full shopping list and prep guide we have provided you with the tools you need to get your energy back and feel good again…even with your crazy busy mama life! Have you tried cutting gluten? Dairy? Sugar? 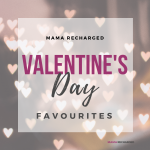 Tell us what you experienced over on Facebook. P.S. 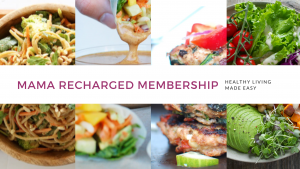 Have a look at the Mama Recharged Membership, our monthly subscription program. 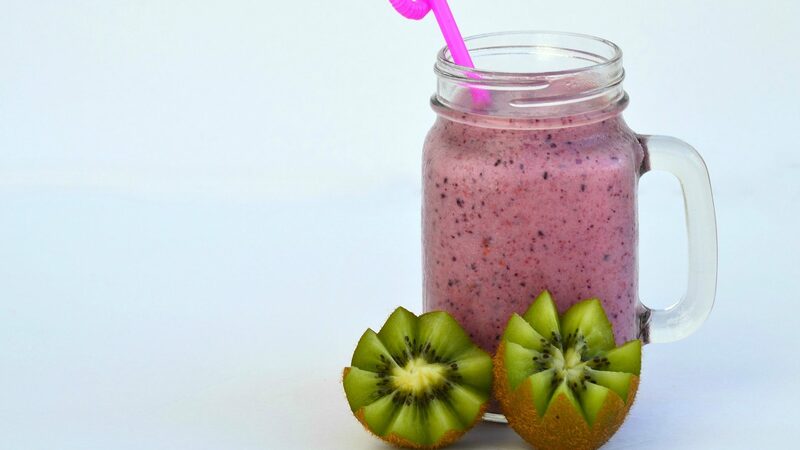 It has the tools to let you reset your body, lose weight and start feeling great. + Watch for amazing BLACK FRIDAY SAVINGS coming to you this week!! Check your inbox FRIDAY! 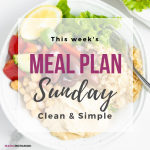 (get on the list by grabbing the free plan above and make sure it doesn’t get stuck in junk mail).